Notice: it's a simple projector ，if you want connect smartphone . Android smartphone need MHL cable to connect , Iphone need AV adaptor lightning. YG-300 LCD Projector is a multimedia player with 320 x 240 pixels, visible 400 - 600 lumens and 800:1 contrast ratio. 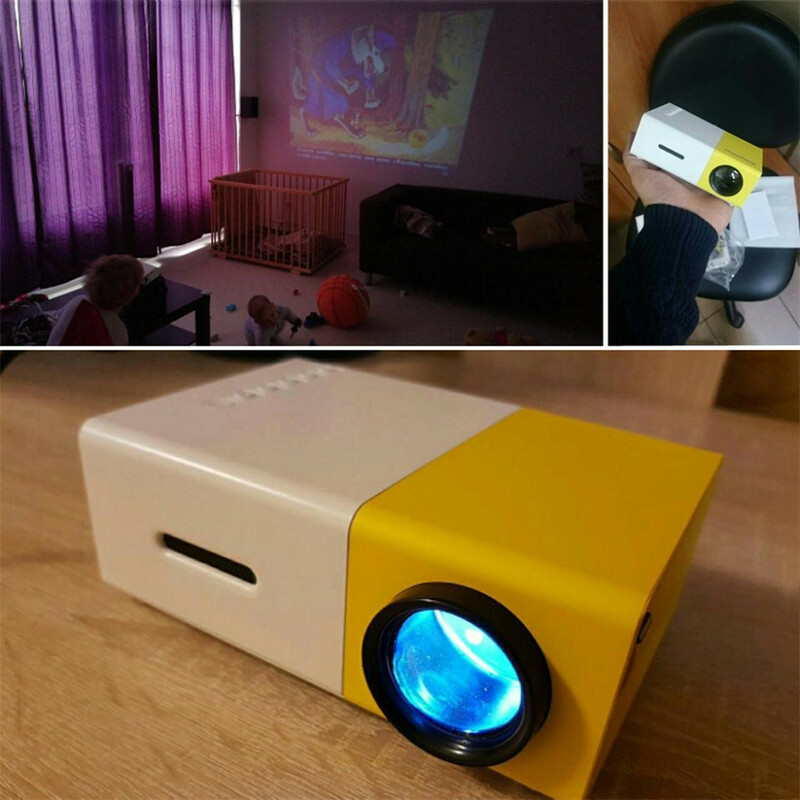 With this small but high performance projector, you can enjoy the high-quality images and videos in a very comfortable position. - 400 - 600 lumens with 800:1 contrast ratio for clear, razor-sharp images. - With the native resolution 320 x 240 pixels for clear and bright images, provides exceptional display quality. - Support AV / CVBS / HDMI / USB multimedia interfaces for DVD player, laptop computer, set-top boxes, gaming consoles, etc..
- LED lamp life is over 30000 hours, never need to replace. - Infrared remote control lets you enjoy your wonderful life which the wireless brings to you. Input HDMI USB AV input SD . Image File Support Common format like Jpeg, BMP, PNG and so on. Video File Support format like MP4, RMVB, AVI, RM, MKV, etc.